I couldn’t wait to post this cute photo of Ellie & Annie during Annie’s newborn portraits yesterday. Little Annie, despite making her way into the world a few weeks early and only being a couple of weeks old, was determined to stay awake through the entire photo shoot! I can’t wait to share more photos with you tomorrow. 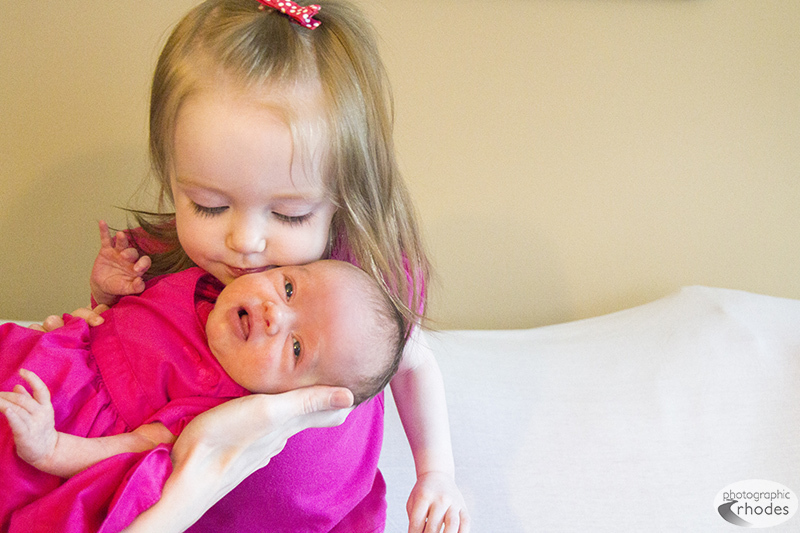 Annie gets sweet kisses from her big sister before she’s on the move again.